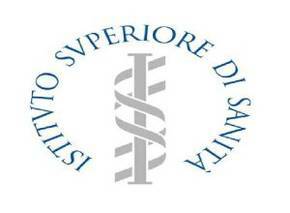 The Istituto Superiore di Sanità ( ISS) is a technical scientific organ of the Italian National Health Service. It enjoys scientific, organisational, administrative and accounting independence and is subject to monitoring by the Ministry of Health. It undertakes research, experimental, control and training functions in relation to public health in Italy. It collaborates with the Minister of Health in preparing and implementing scientific and health planning. The ISS promotes programmes of national interest consistent with the objectives of the National Health Plan, with tasks of technical guidance and co-ordination, in the field of health protection and promotion, in collaboration with the Regions and with local hospital authorities and health boards, as well as with public and private sector organisations of national importance. It takes part, through its own operations centres and by contributing financially, in foreign and international projects aimed at protection of public health, as well as in study and research programmes of national organisations. It certifies and accredits test laboratories and certification bodies provided for by EU regulations and international treaties in the public health field. It promotes scientific conferences and debates of a national and international character on topics related to its institutional tasks, and takes part through its own experts in national and international conferences and debates regarding the same tasks. ISS has several European and National Laboratories of Reference in different fields, among these NRL of bacteriological and virological contamination of mussels. The institution has approximately 1.500 employees (613 researchers) and a total R&D expenditure of 25.480 millions of Euros. Dr. Dario De Medici (project 3.1 REFHEPA).